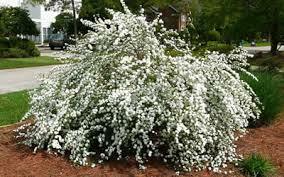 Bridal Wreath Spirea is simple to grow and excellent for foundation planting and hedges. The flowers are often white, but other variaties may also be pink, red, or yellow. The classic bridal wreath spirea May range in growth from ten feet tall to 20 feet wide. Planting the bridal wreath spirea is best done in the spring and fall. Add some compost to the soil where you are planting if it isn’t the most nurturing soil. Add mulch around the base of the shrub. Watering is only necessary if the rainfall is minimal. The bridal wreath spirea may be pruned and will grow again. Bridal Wreath Spiraea is a small tiny flower but will pack a lot of color and life when in bloom. This flowering plant is beautiful and will have little white flowers when in bloom. This plant does beautifully when planted in moist and well-drained soils. This plant will give a fantastic look to a garden and also looks great in natural areas. It will also offer significant color during the fall months of the year. Bridal Wreath Spiraea is excellent to bring butterflies to a location. These shrubs grow to become very dense and are very hardy. They can withstand all types of weather conditions during the summer and winter months of the year. They are beautiful and can be trimmed to keep at the desired height around homes and also in garden areas. They attract bees and butterflies to their gorgeous dainty blooms during the spring and summer. The flowers appear on these beautiful shrubs in clusters that are created by other small little white flowers. These shrubs do not require a lot of maintenance as they grow and become healthy and beautiful. They also make excellent shrubs use to create a natural border between areas. They supply attractive green foliage before the blooms appear and add lots of gorgeous colors and curb appeal as they grow and mature. Bridal Wreath Spireas are beautiful ornamental shrubs for all areas.